* If you wish to manage a School account that has already been created, please contact the person who made the account to get an invitation. First, create a Class. 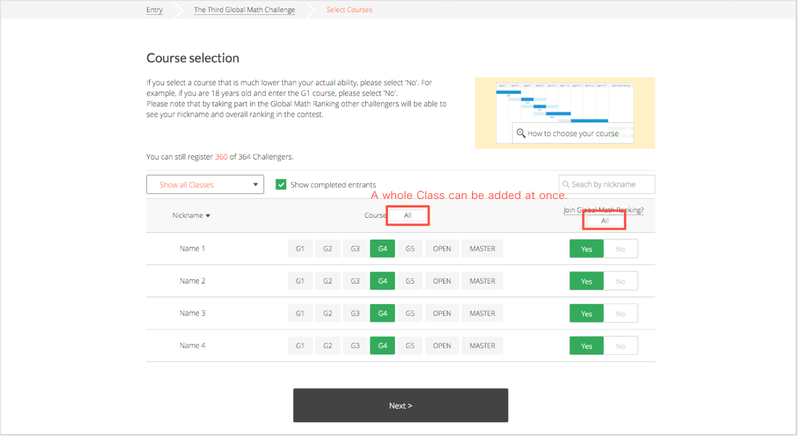 Then by clicking on 'Add a Challenger', you can add each of your students to your Class, one by one. If your students have already entered a previous edition of GMC their details should already be safely in your School account. 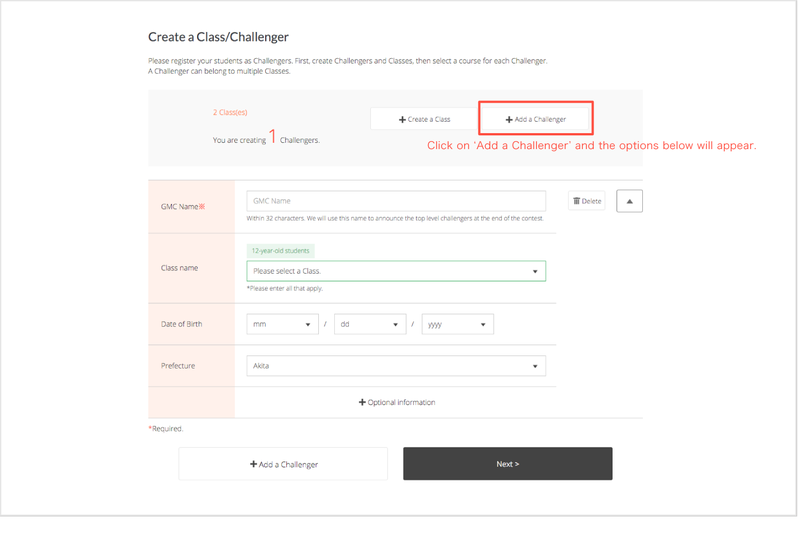 When you create a Class, you will be able to divide the Challengers by class and add them all at once. Before you select the courses for your challengers, please complete the payment process. Up to 30 challengers can enter under one Class. 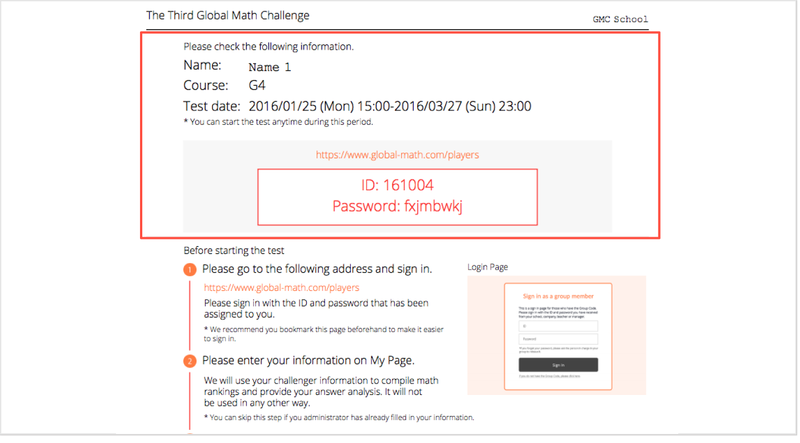 After selecting a year-appropriate course for each Challenger, you can also choose whether or not they will also take part in the Global Math Ranking. 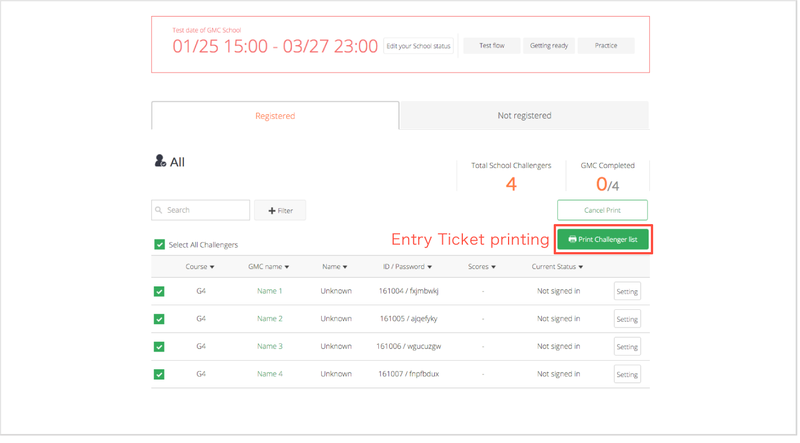 From the Challenger information area on My Page, print the Entry Tickets which feature the IDs and passwords for each Challenger. 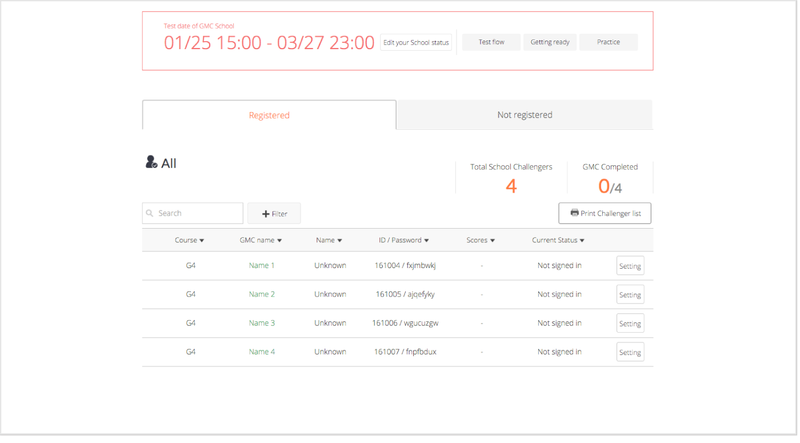 Come test day, your Challengers can the use these details to log on, even in different locations. Challengers will need their ID and password on the day of the contest. Check the Challenger information on My Page to ensure that the correct Challengers have been registered to the right courses. Need to change some details about your Class? It's easy to do. Just click the icon in the top-right corner of the screen to access the Settings menu. 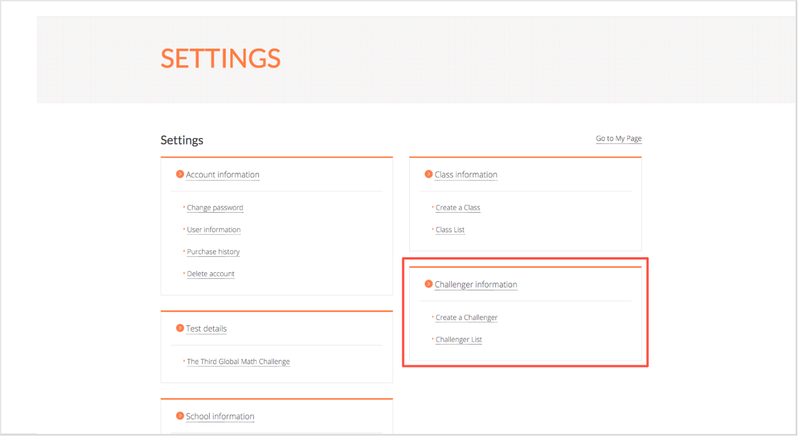 Data can be edited from the Challenger section of the page. Please try the sample questions on My Page before starting the test to double check that everything runs smoothly on your computers or tablets. You can see the system requirements for GMC here. ※ Please note that the sample questions found on the top page can't be used as a way to check system requirements.